-Jones earned his 14th UFC light heavyweight victory, surpassing Chuck Liddell and Rashad Evans for the wins in modern 205-pound history. -Jones’ 11-fight UFC winning streak is the longest active streak in the light heavyweight division and the longest in the history of the weight class. 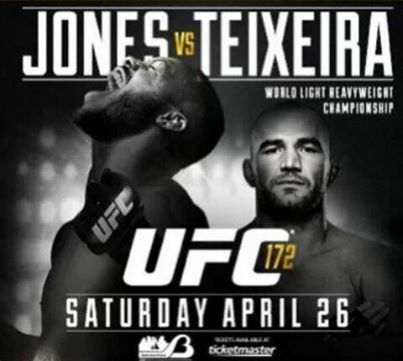 -Jones’ seven consecutive UFC light heavyweight title defenses are the most in divisional history. -Jones’ 138 significant strikes landed were the most ever in a UFC light heavyweight title fight. -Jones has now landed 824 significant strikes in his UFC tenure, passing Forrest Griffin (796) for the most in light heavyweight history. -Jones avoided all five of his opponent’s takedown attempts, boosting his overall takedown defense rate to 96.6 percent (28 of 29), the best defense percentage of any fighter in UFC history.